Fight for your catch of the day! Put your sport fishing skills to practice and feel the adrenaline rush of fighting a fierce mahi-mahi, yellowfin tuna, marlin, or sailfish during your sport fishing tour. The waters off of the Osa Peninsula in the South Pacific Ocean of Costa Rica are rich in nutrients and there is a great variety of fish for your sport fishing tour. Our local captains of over 10+ years of experience know the hottest areas for fishing and the best time of year. The Osa Peninsula region continues to produce world record catches year after year. In the South Pacific Ocean near the Osa Peninsula is where you will find the best blue water fishing anywhere. The Osa Peninsula in Costa Rica is a very special place in the world especially when it comes to Costa Rica fishing. Situated just 30 miles north of the Panama border, its location between the Pacific Ocean and the Golfo Dulce of Golfito, makes it one of the most nutrient rich coasts, one that offer anglers some of Costa Rica’s best sport fishing. Catch marlin, sails, dorado, wahoo, tuna, rooster fish, tarpon and snook year round. 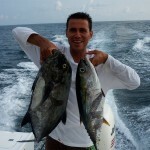 To catch: Mackerel, Rooster fish , Snapper , tuna. The offshore fishing is done within a 20 miles of the shore & includes 1.5 hours of snorkeling at the clear waters of Cano Island. Chance to see Dolphins or Whales depending on the season. 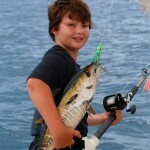 To catch: mackerel, wahoo, mahi-mahi, yellowfin tuna, black tuna and snapper. Trips includes: Bilingual crew, coffee station , homemade sandwiches & snacks ,beverage,tropical fruits, mineral water ,fishing gear,cooler and ice for the catch of the day. 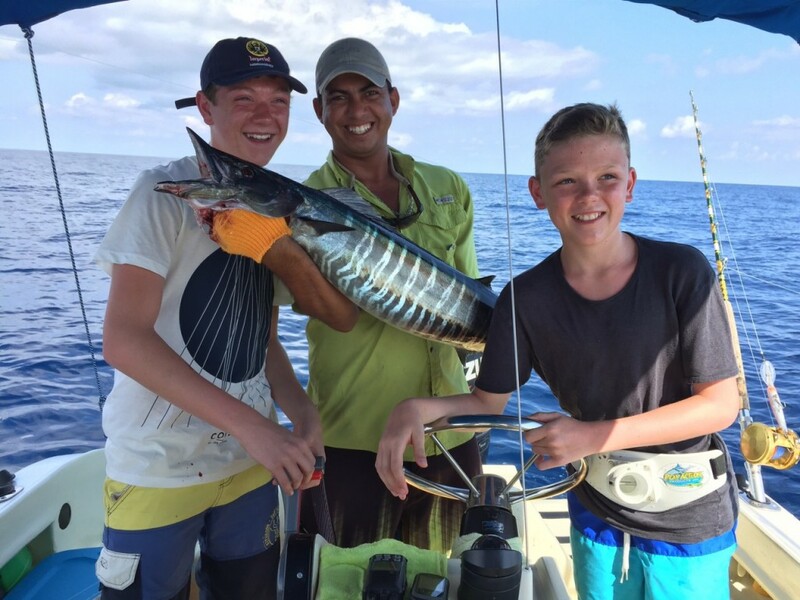 NOTE : During the sport fishing tour you will use our top of line equipment; Shimano poles & Penn Reels to help you catch mahimahi, wahoo, tuna fish, Mackerel, runner, and rooster fish. During the tour you may observe whales, dolphins, turtles, marine birds and fantastic views of the southern pacific Osa coastline. Click here to contact us for more information about the Bahia Aventuras Sport Fishing Tours or if you want to custom the tour. The offshore fishing is done within 20 miles of the shore. Deep water. To catch: Mackerel, Roosterfish , Snapper , tuna.